Although downy mildew only affected Impatiens walleriana in parts of the Northeastern United States last year, its spread across much of Europe should serve as an indicator of what could come this spring or in the coming years here in the U.S. 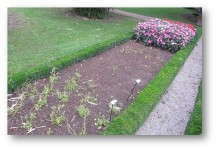 Impatiens photographs Sakata shared of European trial gardens are cause for concern. 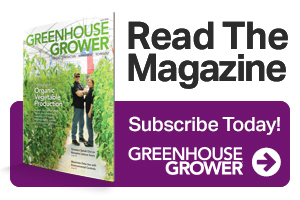 Entire landscapes have been wiped out, and Sakata indicates these new downy mildew strains affect both seed- and cutting-raised plants. Many European retailers have announced they will no longer include seed impatiens in their assortment because of the rampant disease. But while walleriana species are susceptible, a product like Sakata’s SunPatiens is proving to be unaffected by it. Some growers may argue that seed impatiens are commodities and that a premium product like SunPatiens has a market of its own. Sakata, however, says because SunPatiens are fast growers and provide excellent coverage, fewer plants are needed per square foot than seed impatiens. SunPatiens have largely been a hit in the U.S. the last few years because of their ability to flourish in extreme summer conditions. SunPatiens are just as capable of flourishing in the European sun as they are here in the U.S., but Europeans gravitate toward SunPatiens for a completely different reason. So yes, U.S. growers have a potentially big problem on their hand in downy mildew on Impatiens walleriana. To Sakata, though, the disease’s spread is an opportunity to show what SunPatiens can do. Learn more about Sakata and SunPatiens online at SunPatiens.com.